To say the last 24hrs have been a whirlwind would be a complete understatement, and I’m trying my best to process all the information we’ve received and grasp that our life is going to be flipped upside down in the coming months. While I’ll get to ALL the details down below – essentially we just got word that after reviewing Evanna’s latest cardiac cath results, Dr. Hanley does indeed believe Evanna is a “good candidate for further pulmonary artery rehabilitation….. of both the left pulmonary artery system and the right artery system and eventually, for intracardiac repair” (quoting directly from the referral letter that our cardiologist received last week). ………..excuse me while I try to pick my jaw up off the floor. In laymen terms, Dr. Hanley believes he can help Evanna, and will accept her as a patient!! I seriously keep bursting into tears, and have been overcome with waves of emotion, joy and major relief. Our whole medical team is just in shock right now, as the cardiac cath Evanna underwent back in June was quite worrisome and the interventional cardiologist (Dr. S) and Dr. Fruitman (our primary cardiologist) were quite frank and honest with us in their opinion that Evanna may even be too complicated for Dr. Hanley and that we really prepare ourselves for a “no”. Due to some unforeseen roadblocks (ie. her bout with Endocarditis last Fall and the communication hiccups that delayed her cath referral), it has been an incredibly long process to get to this point. 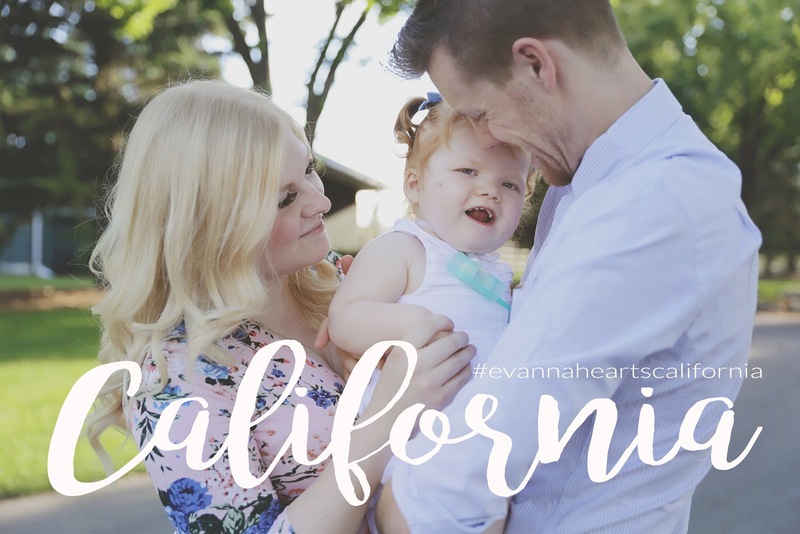 If you’re new to this blog, or maybe have forgotten – I’ve been advocating for this referral/consult since SEPTEMBER 2016, when during a cardiac checkup, I asked our cardiologist if she would send Evanna’s medical records down to Stanford/LPCH to be reviewed by Dr. Hanley (to which we received an initial response less than two months later). That’s right, we are literally just a few weeks away from hitting the 1 year mark since I first put things into motion – and other than our 400 day hospital admission back in 2014/2015, advocating and pushing for this referral has been one of the most emotional and mentally exhausting things I’ve ever had to do. And now, with an answer in hand, we’ve just added about 100 things to “our plate” while we make arrangements and get all our ducks in a row for this huge endeavor. ........first things first – timeline/when? “within in the next 6 months”. We have several factors to consider, such as Evanna’s currently stability (which is an absolutely huge blessing in it’s own right), the fact that at this moment in time, this is currently considered an elective surgery (more on that later), and I’m currently pregnant and due at the beginning of December (and yes, I did recently write about how boring this pregnancy was…. way to jinx myself lol – but of course in a good way). With that said, we’re looking at “late winter, early spring”. 1) Dr. Fruitman has to compose a letter and submit an application to the “Out-of-Country Health Services Committee” for their review (here’s a link to their webpage with further details if your curious). I’m not worried about this part, as Evanna isn’t the first child from Alberta that has been referred down to Dr. Hanley for Open Heart Surgery – but this part does take time in nonemergent cases, as apparently, they only meet certain times of the year. We already have the backing/”blessing” of our cardiac team (ie. our primary cardiologist and pediatric cardiovascular surgeon at the Stollery up in Edmonton) who will confirm that we’ve exhausted all our resources here in Canada, and this surgery (that’s not considered experimental – which is very important when you’re trying to gain government/provincial funding……) is in Evanna’s best interest. 2) Formally meet with Dr. Fruitman to actually discuss the risks and benefits of everything. Thus far (ie. the past 24hrs), I’ve only been able to have a 10 minute conversation with Dr. Fruitman on the phone and obtain a physical copy of Dr. Hanley’s letter from her cardiac nurse this morning. While I immediately said “YES” when Dr. Fruitman asked if “we” wanted to proceed with this, my incredible husband that’s always been my “ying to my yang” has pulled me back to Earth and ensure we truly understand what we’re actually saying “YES” too. He always knows how to keep me grounded and love how much we’ve compliment each other as husband/wife and parents to Evanna. We actually deal and process things very differently, and what one lacks, the other makes up for ten-fold. In my opinion, the dynamic of our relationship has been a huge blessing and a benefit to Evanna through this insane medical journey --- and her currently doing so well is a small testament to that (but yes, we also can’t discount that she’s quite the “fighter” herself lol). The past year has been spent “waiting” for an answer from Dr. Hanley, but because it was so uncertain as to what he’d actually say – we never really thought about what that could mean and the potential risks that come with signing those consent forms. What Dr. Hanley has proposed is quite risky and invasive, and we have to truly weigh if these possible benefits he’s proposing is worth the huge risk we’d be agreeing to (while also discussing the risks of not proceeding with this option that has been presented to us). Due to the fact that Evanna is currently very stable (despite her high oxygen requirements…. ), and not “deteriorating” right now... but in fact thriving, this option is currently considered “elective”, and it can be such an internal struggle as to whether or not we want to “rock the boat” and potently make things worse and lose Evanna. However, the alternative (ie. not do anything) also brings about it own sets of risks and devastating consequences. So we’re actually looking at 2 (potentially 3) surgeries and trips down to Palo Alto over the next year (or so), as Dr. Hanley has proposed and presented quite the plan to rehabilitate her MAPCA’s/collaterals. Then, IF everything goes well and her collaterals “behave”, cooperate, and grow – we could actually look at having her VSD closed (something that was never been a possibility before), and have what’s called a “full repair”. In his letter, he would first like to tackle her LEFT side, as that’s been our most worrisome and difficult area with Evanna’s heart. Dr. Hanley wants to “salvage the ‘ghost’ upper and lower lobe branches, and unifocalize these to a central shunt in an attempt to promote growth of the left system”. In a second procedure, he would like to “address the right pulmonary artery with rehabilitation of all major right hilar branches that are currently stenotic. Depending on the growth of the left system, it would potentially be possible to bring the left and right systems together at that second operation”. He concluded the letter with “Additionally, if we do bring the left and right systems together at that second operation, I would perform an interoperative flow study to determine whether it was adviable to close the VSD at that time”. So there you have it folks! After explaining the contents of Dr. Hanley’s letter, Dr. Fruitman was quick state that while she knows Nick and I have always been level headed about our situation with Evanna, at the moment, we need to try and not get ahead of ourselves and just take this one-step-at-a-time. I laughed and said “hasn’t that always been the case with Evanna?”, to which she laughed and agreed with that observation. Finally, while Nick and I somewhat consider ourselves “pros” at this surgery and hospital stuff, this newly presented option brings so many unknowns and situations we’ve never had to deal with before, and it’s a bit overwhelming to say the least. We will potentially be dealing with a new hospital that we are completely unfamiliar with (though, only I’ve only heard the best things about Stanford/LPCH) – and not just in a different city or province, but an entirely different COUNTRY! Another level of logistics that we’ve never had to take into consideration before, is we’ll have another child/baby by then… when all we’ve ever had to worry about is JUST Evanna! However, I do feel like it won’t be too difficult due to the fact that baby boy will essentially still be a newborn, and will hopefully sleep through most of it lol (not to mention that Nick is super dad, and I’m sure we’ll get by just fine). I guess this is an appropriate time to ask for love, prayers and support as we seek guidance in pursing this absolutely amazing option that has been presented before us and strength in continuing to advocate for Evanna in our quest to improve her current (grim) prognosis and overall quality of life -- which ultimately is our main focus and goal. It's wonderful that you even have this possibility to consider. Used to live close to LPCH and can give you a couple of churches to contact before you go that would have people willing to help with just about anything. (Transportation, food, watching baby in hospital, running errands, providing hugs and support). I'm assuming you would stay at Ronald McDonald house. Will be praying as you make decisions and take the next steps.